Klayman: This Is the First and Probably the Only Time I Will Agree With the Leftist Alex Baldwin About How He Characterized Sean Hannity! Hannity hit back at comments Baldwin made on "The Howard Stern Show," detailing a feud between the pair that has lasted for over a decade. "Hannity is an idiot and he is an untalented idiot. Hannity has no talent whatsoever. He has none," Baldwin, the star of 30 Rock and The Hunt for Red October, said on Stern's talk radio show. "He is like a Long Island, working-class buffoon where everything is just hate. 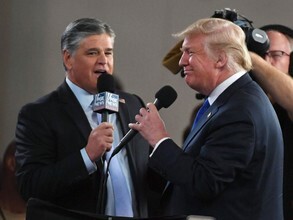 Sean Hannity, who lacks self-awareness on any level, he has got zero self-awareness," the actor added.